Finished Design Size: 12" square. This elegant design makes a lovely wedding pillow or framed piece since the centerpiece is a double ring of hearts. The beaded background can be altered or eliminated to include any appropriate lettering desired. The borders and heart motifs are set up with simple Smyrna Cross outlines. The inside hearts are then filled with two different one-way couching patterns, and the outside hearts have two-way couched fillings. The center star has four-way parabolic ovals that are surrounded with a dramatic four-way open stripe pattern. 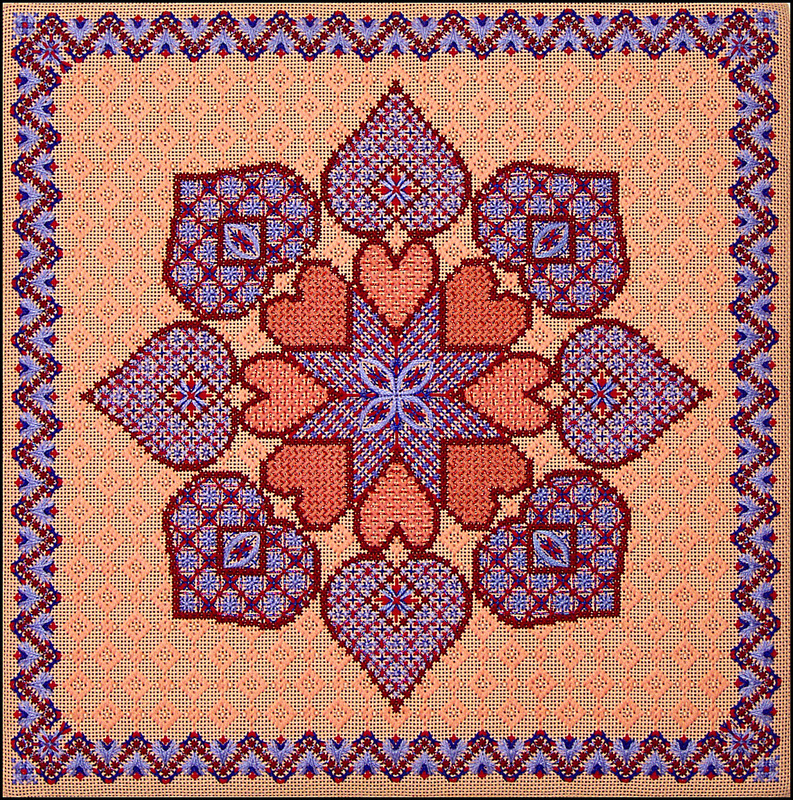 The ornate composite border has five steps and uses the same threads as the blue ring of hearts. The beaded background appears to be darning but is backstitched in a sequence that not only secures the beads well but conceals the traveling threads. This design will accommodate any combination of two colors, but similar values should be substituted to maintain the same visual effect.